It has been 8 months already from the time I started venturing this thrilling activity called mountaineering. And on that short span of time, I learned and experienced aplenty (it is probably safe to say that I'm not anymore the newbie that I used to be). I still believe though that there's more to know and discover in this fun filled sports. 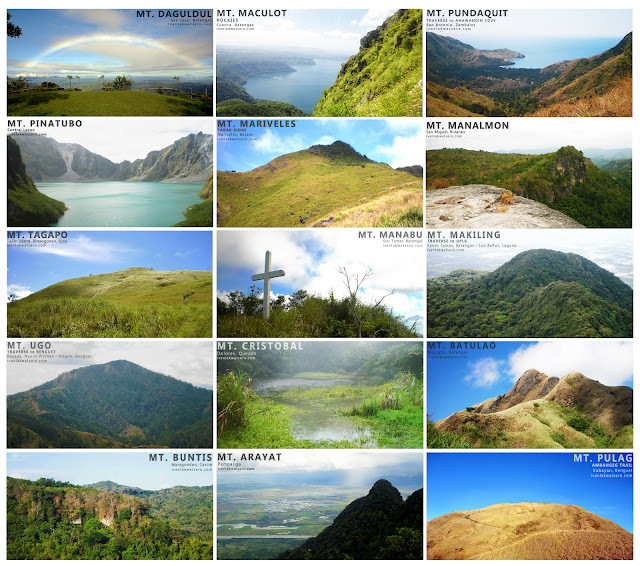 Anyways, dahil nga I fell in love with hiking so much (or should I say I'm addicted to it na), my status now: 20 mountains, 26 climbs. there's more if you check my Kabundukan Page. More of my mountain adventures at my Kabundukan Page. That's an impressive 8 months climbing record! No major problem encountered? Keep climbing but ingat lang. congrats Ivan...dami na pala. Baka makapunta ka ng Bukidnon. Recommend ko ang kitanglad. :-). Wow Ikaw na! Congratz Ivan! wow..galing so far so good talaga...sigurado bago matapos ang taon malamang matapos mo ang southern tagalog mountains..
pare koi , akyat ka ng osmena peak , a must climb ...taos may unnamed peaks dito sa cebu province namin na di pa naaakakyat code name roraima, granite, marble , jagged at gapped .